Ouch. If you understand what has happened, the DOJ and FBI gamed the FISA process to provide a way past any form of oversight. Of course it could not end well. This item tells us how this was been gamed even back in the nineties. Mueller’s solution then was to lay in a so called Wood’s procedure. He had to give the judges something. Problem with that, he them placed his people in the loop to allow skating. And now the whole thing was used in a coup attempt against a sitting president. This is now tyranny slides into place. No one will escape justice on all this and the system must be revamped..
For most of the past 16 years, Mueller’s closed-door encounter escaped public notice because of the secrecy of the Foreign Intelligence Surveillance Court (FISC). Peter Carr, a spokesman for Mueller at the special counsel’s office, declined comment on Anderson’s testimony. So, too, did FBI spokeswoman Kelsey Pietranton. 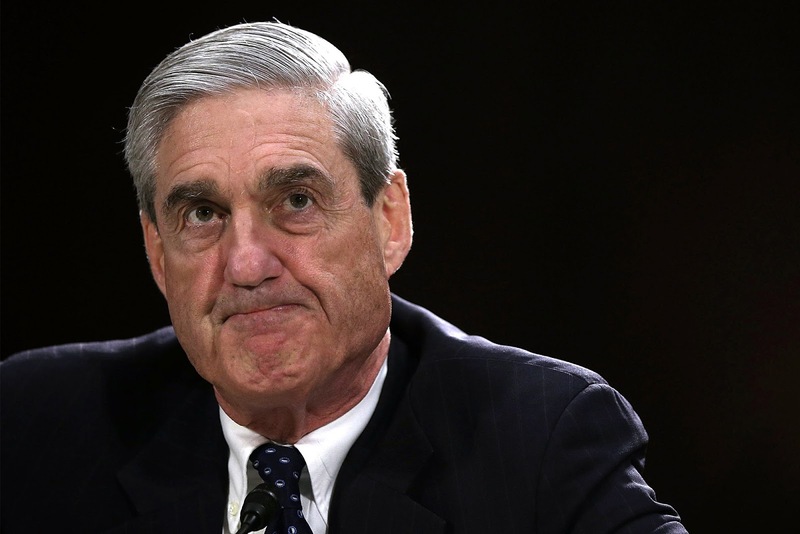 Other sources who worked for Mueller at the time told me the court’s concerns arose in 2002 and 2003 — shortly after America was stunned by the Sept. 11, 2001, terror attacks — when the FISC learned the FBI had omitted material facts from FISA warrant applications in more than 75 terrorism cases that dated back to the late 1990s. Most of the omissions occurred in FBI work that pre-dated Mueller’s arrival, the sources said. But the court wanted assurances the new sheriff in town was going to stop such widespread abuses. Mueller told the court the FBI had created a new system called the Woods Procedures — named for the FBI lawyer who drafted them — to ensure FISA warrant applications were accurate and did not omit material information, according to Anderson’s congressional interview. “My understanding is he committed to the court to address the problem and then that the series of reforms that we implemented, including the use of the Woods form, were the direct result of his engagement before the FISA court,” Anderson told Congress. Mueller does not appear ever to have publicly addressed his appearance before the FISC. But once, in follow-up written answers to the Senate Judiciary Committee, he acknowledged there was a period in which the FBI was caught filing inaccurate FISA warrants. “Prior to implementation of the so-called Woods Procedures there were instances where inaccurate information was provided by FBI field offices and headquarters personnel to the Court,” Mueller wrote to senators in 2003. A declassified FISC order from 2002 gives a glimpse into how serious the omissions were: In one case the FBI failed to tell the court that the person they were seeking a FISA warrant to surveil was, in fact, one of their own informants. Anderson’s testimony isn’t just for the history books. It has as much relevance today as when the judges first became upset with the FBI. That’s because we now know the FBI, in 2016, omitted significant information from the application for the FISA warrant that allowed it to spy on Trump campaign adviser Carter Page in hopes of finding evidence of collusion between Russia and the GOP presidential nominee’s campaign. Thanks to congressional oversight and declassified documents, we now know the FBI failed to tell the court that the primary evidence it used to support its warrant — the so-called Steele dossier — was political opposition research produced on behalf of and paid for by the Democratic Party and Hillary Clinton’s campaign, in hopes of harming Trump’s election chances. Further, we’ve learned from congressional testimony of other FBI officials that the dossier’s contents had not been corroborated by the FBI when it was used in the FISA application — even though the Woods Procedures mentioned above required that only corroborated evidence be used in support of a warrant request. And, finally, we know from sources that the FBI had other evidence suggesting the innocence of two Trump campaign aides it targeted — Page and George Papadopoulos — that wasn’t provided to the court. As such evidence has mounted, some Justice and FBI officials have whispered suggestions that the FBI didn’t have an obligation to disclose such information and, therefore, there were no abuses. Yet, thanks to Anderson’s recounting of the episode from 16-plus years ago, we now know the FISA judges don’t tolerate omissions of material facts and were angry enough in an earlier time to haul the FBI director into court to make their point. Anderson testified Mueller got to see that lesson up close and personal. The question now is, do the current FISC judges and Justice Department supervisors — Deputy Attorney General Rod Rosenstein and FBI Director Christopher Wray among them — care the same about the integrity of the FISA process? If they do, the first step (as 2002 showed us) is to acknowledge the wrongdoing and put corrective action into place. Silence and hiding behind classified information don’t serve the American interest, just the interests of an intelligence bureaucracy that wrongly allowed itself to be used for a political dirty trick.